Sure, you were steadfast on Jan. 1, but by now, your 2018 resolutions may have fallen by the wayside. Take heart. You have another shot at getting it right, thanks to our Asian friends who keep the tradition of Lunar New Year alive and well. If you’ve ever wondered why some cultures mark the new year at different times of the year, read on. There are roughly 40 calendars in use throughout the world. The one all of us at Hormel Foods use – in fact, the most widely used civil calendar out there – is the Gregorian calendar, a system of marking days, weeks and months that was established in the 16th century by Pope Gregory XIII. It’s a solar calendar, which means it’s based on the sun, and more to the point, Earth’s revolution around it. Thanks to something called gravity, we can count on a year having 365.25 days, unless it’s a leap year. Then we get a bonus of Feb. 29, a catch-up day made up of four of those quarter days. There are also lunar calendars and lunisolar calendars. As the names suggest, they’re based on the moon and specifically, its phases. In addition to following the Gregorian calendar, some cultures employ a lunar or lunisolar calendar for holidays and/or festivals. China, Korea, Vietnam, Japan and other Asian nations are among them. They use a lunisolar calendar, which is a lunar calendar with a feature known as intercalary months designed to keep it somewhat in sync with the solar calendar. Judaism does as well, allowing Rosh Hashanah – or Jewish New Year – to fall in autumn each year. On the other hand, Islam abides by a purely lunar calendar. Its new-year celebration can happen in any given month as a result. Because the lunar year and solar year are different lengths, they generally start on different dates. It’s always Jan. 1 for the solar calendar, but in China, for example, the new year begins with the first new moon between Jan. 21 and Feb. 20. In 2018, Chinese will be wishing each other a happy new year on Feb. 16. Lunar New Year in Asia is widely known and reported on, no doubt because of the continent’s large population and the rich traditions associated with the holiday. 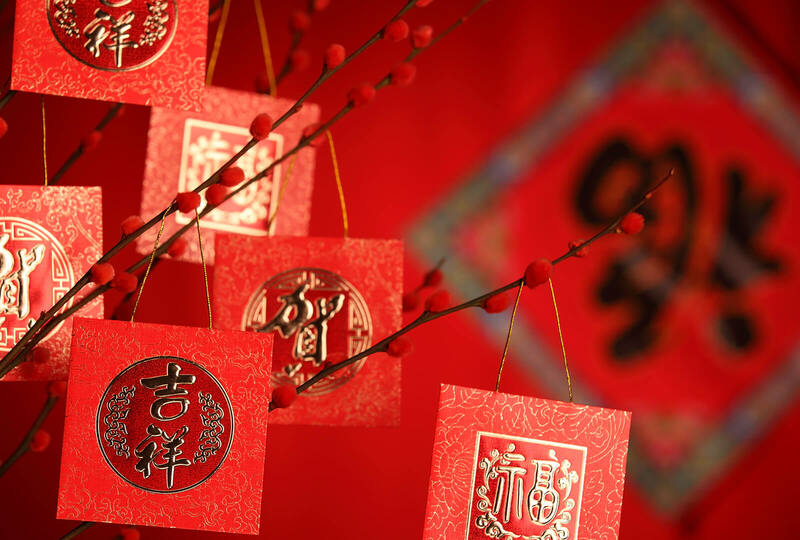 Take a look at some facts about Lunar New Year and how it’s celebrated in Korea, Vietnam and China. Then sit back and enjoy firsthand accounts from some of the Hormel Foods employees who understand full well that two new years are better than one. Due to the sheer size of China, regional differences exist. However, these characteristics are often associated with the new-year celebration for Chinese. Chinese New Year occurs with the first new moon after Jan. 1. That is, between Jan. 21 and Feb. 20. The celebration begins on the eve of the new year and extends to the 15th day of the new year, culminating with the Lantern Festival. The holiday was traditionally set aside to honor gods and ancestors. Families usually meet on New Year’s Eve for a “reunion dinner,” and restaurants and homes have typically been cleaned from top to bottom. Money in red envelopes is given by older family members to younger ones, and gifts are exchanged between friends and family of the same age group. Presents such as mirrors, clocks, items associated with funerals and even objects whose names sound like negative words are avoided. Each year is branded with one of the 12 Chinese zodiac symbols. 2018 is the Year of the Dog. Certain food ingredients take precedence over others if their names sound like words that mean prosperity, good luck, etc. The Vietnamese new-year celebration is also known as Tet. Tet falls on the same day as China’s new year, except when the one-hour time difference between the countries causes the new moon to occur on a different day in Vietnam. Celebrations usually last for three days. It is characterized with visits and gatherings, and exchanges of monetary gifts regularly occur, similar to the Chinese traditions. The first day is for nuclear family visits. Tradition holds the second is for friends and the third for teachers, but this is not strictly adhered to. It is believed that the first person to enter a house in the new year is an indicator of the fortunes for the upcoming year. As such, a person will not visit another without being invited. The first entry is one of the most important rituals during the Vietnamese New Year. 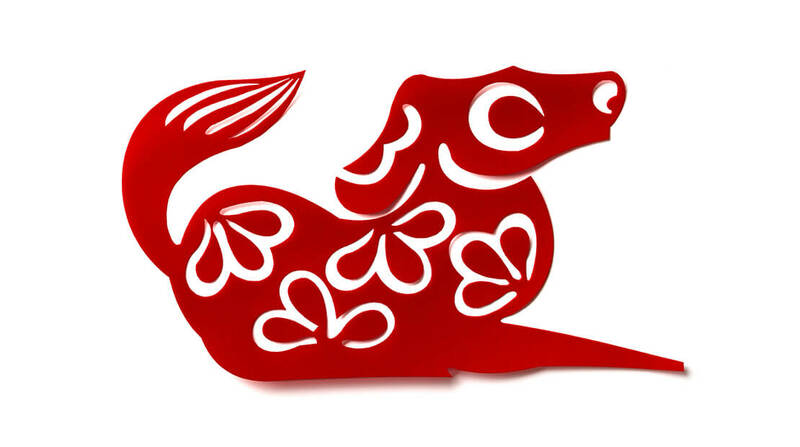 The Vietnamese zodiac has 10 of the animals found on the Chinese zodiac. The water buffalo and cat replace the ox and rabbit. Food is important to the celebrations, and only some foods are eaten during Tet. The Korean new year typically occurs on the second new moon after the winter solstice. Korea uses the same zodiac as China. It is a three-day celebration, beginning with New Year’s Eve. It is a family holiday, with the three-day celebration giving relatives time to travel home and spend time together. New clothes are usually worn, and gifts are exchanged. Food is important, and the first day involves placing food on the table as an offering to ancestors.